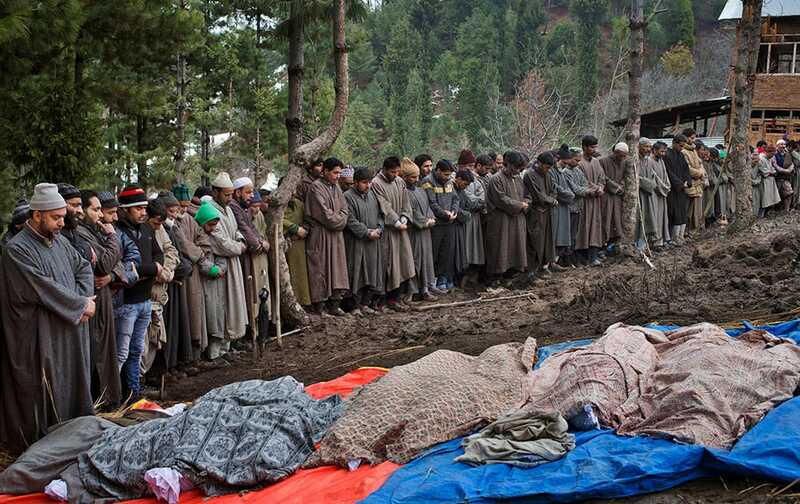 Muslim villagers pray by the bodies of landslide victims during a joint funeral in the village of Laden, some 45 kilometers (28 miles) west of Srinagar, India. 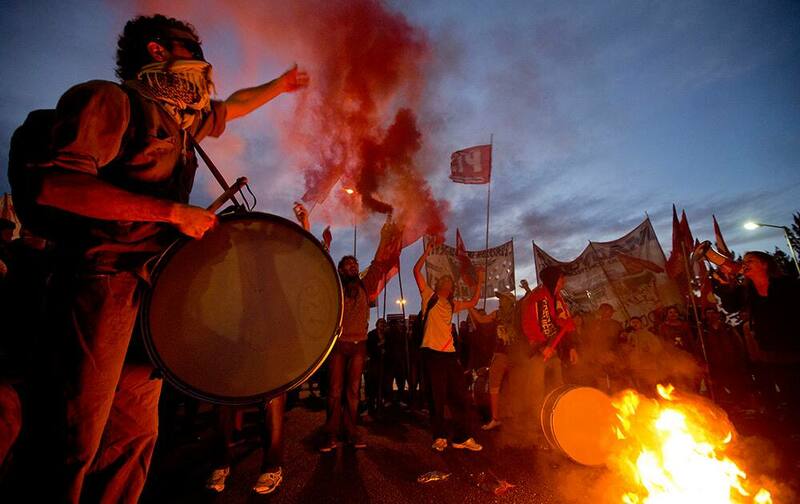 Demonstrators block the Pan-American highway during a transportation strike in Buenos Aires, Argentina. 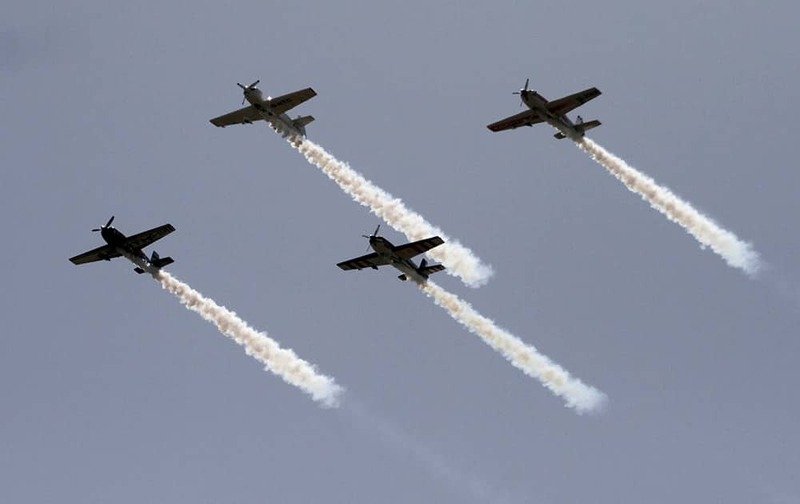 Aircrafts of 'The Global Stars' team of British Aerobatics Champions perform during rehearsals on the eve of the Gujarat Aero Conclave 2015 in Ahmedabad. 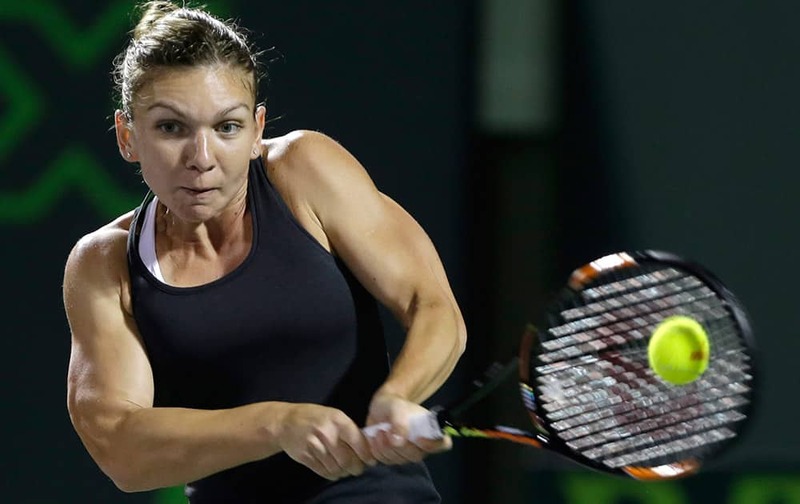 Simona Halep, of Romania, returns to Flavia Pennetta at the Miami Open tennis tournament. 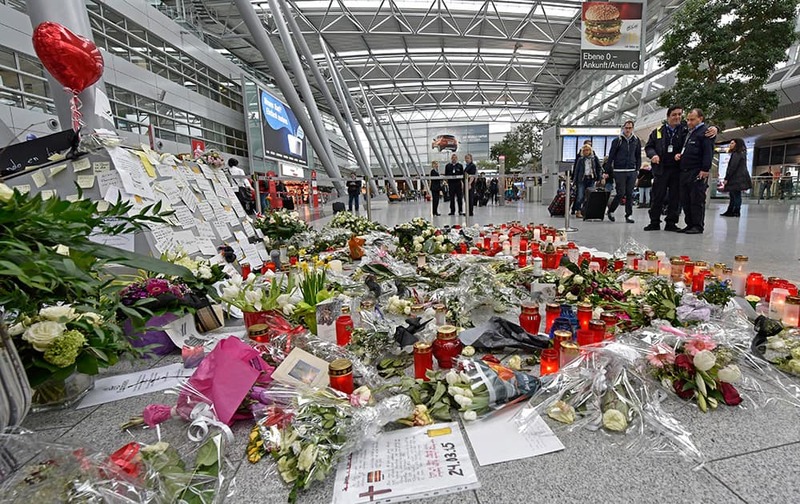 Passengers watch candles and flowers for the victims of the plane crash at the airport in Dusseldorf , Germany. 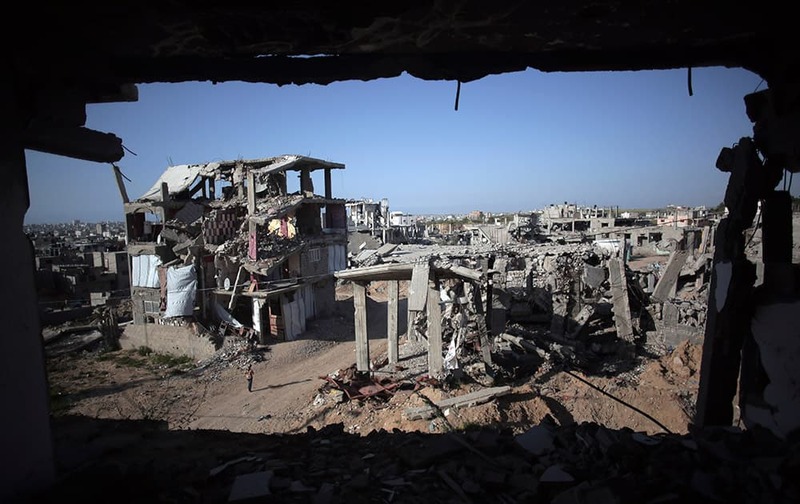 A Palestinian girl walks next to destroyed houses, in the Shijaiyah neighborhood of Gaza City. 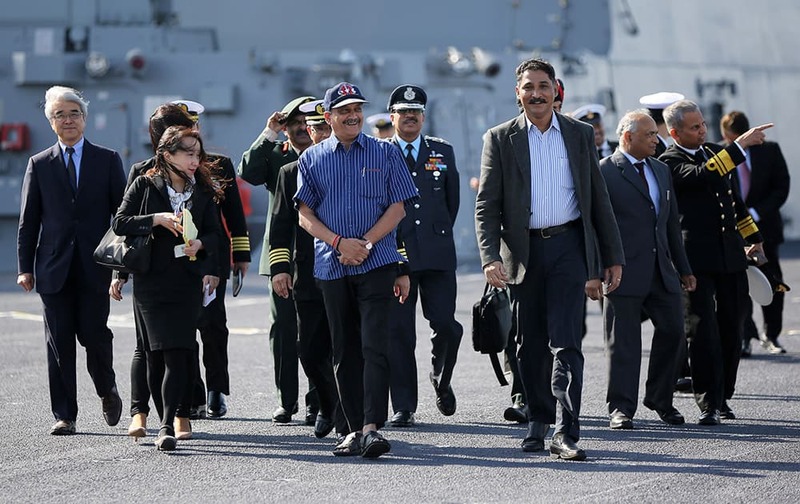 Defense Minister Manohar Parrikar, in a blue shirt, is guided on the flight deck of the latest destroyer Izumo of Japan's Maritime Self-Defense Force (JMSDF) in Yokosuka, south of Tokyo. Queen Maxima of the Netherlands, smiles as she prepares to pose for a group photo with Myanmar lawmakers and educationalists after delivering a speech on the importance of access to financial services at the University of Yangon, Myanmar. 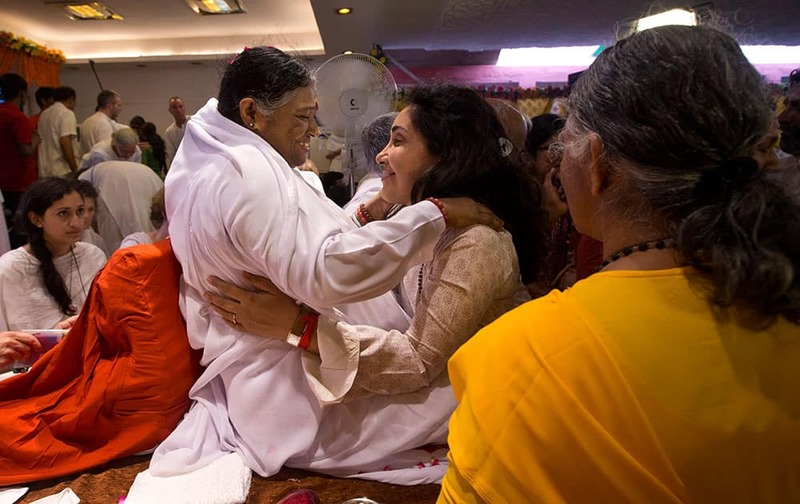 Indian spiritual leader Mata Amritanandamayi, center left, hugs to bless a devotee during a prayer meeting in New Delhi, India. 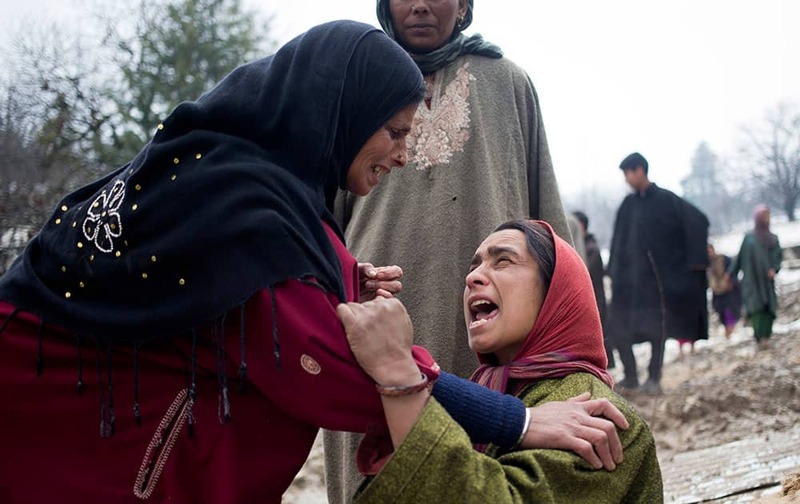 A member of the Charlotte Hornets' "Honey Bees" performs during the first half of an NBA basketball game against the Boston Celtics in Charlotte, N.C.
An unidentified woman, left, comforts a relative of landslide victims in village of Laden some 45 Kilometers (28 miles) west of Srinagar, India. 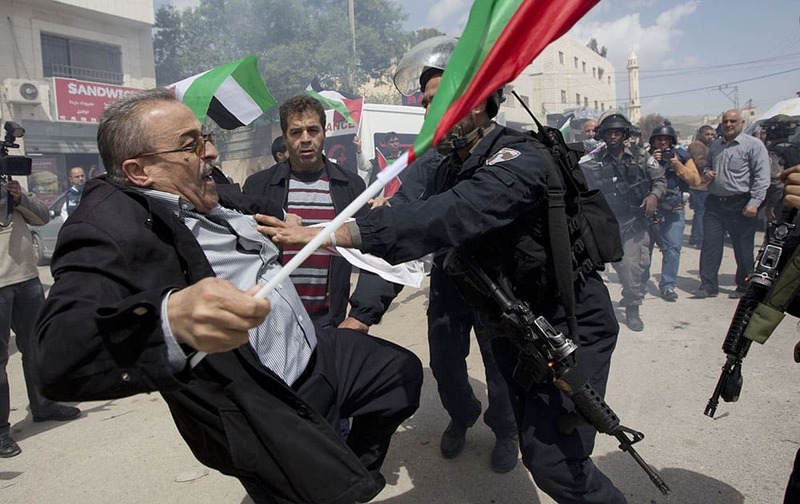 Palestinians protester is pushed by Israeli border policemen during a protest marking the Land Day in the West Bank village of Hawara near Nablus. Land Day commemorates riots on March 30, 1976, when six people were killed during a protest by Israeli Arabs whose property was annexed in northern Israel to expand Jewish communities. 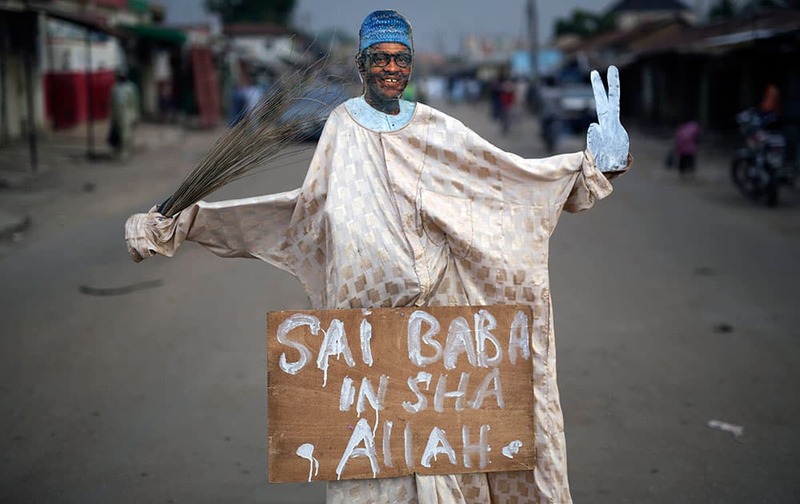 A puppet showing Presidential challenger Muhammadu Buhari is set at an intersection in Kaduna, Nigeria. 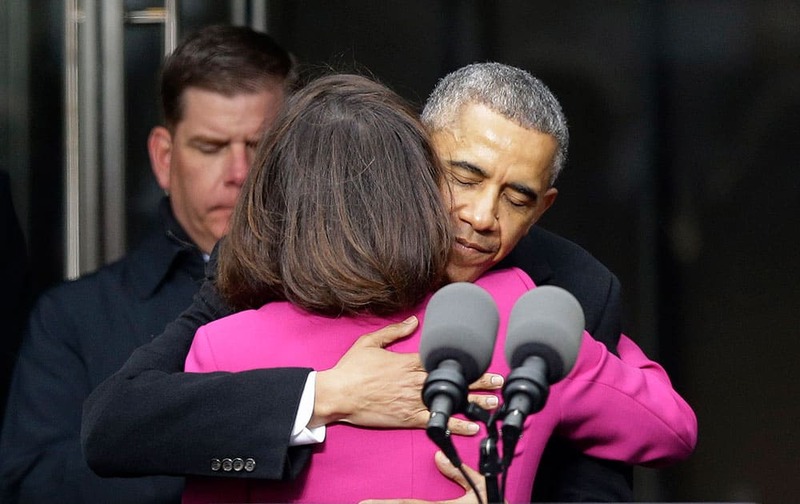 President Barack Obama hugs Victoria Reggie Kennedy, former Sen. Ted Kennedy’s widow, during the dedication of the Edward M. Kennedy Institute for the United States Senate, in Boston. 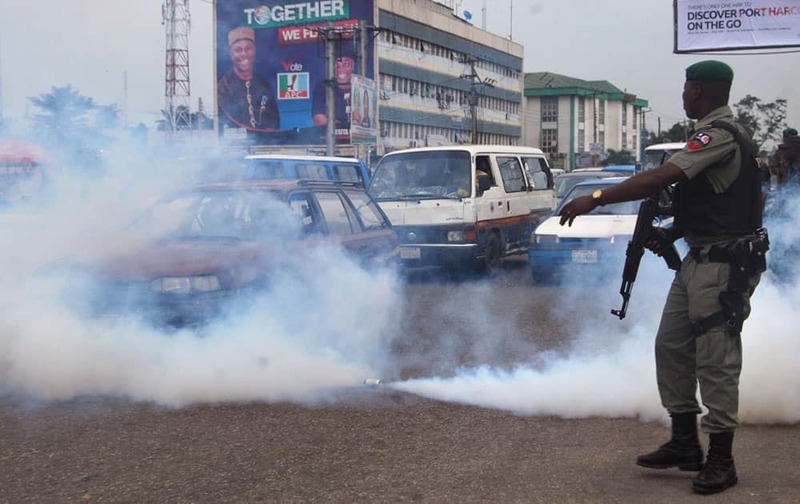 A Nigerian soldier stands next to a tear gas canister as it sprays gas into traffic during a protest by members of the All Progressives Congress, partyagainst voting irregularities in the presidential election in Port Harcourt , Nigeria. 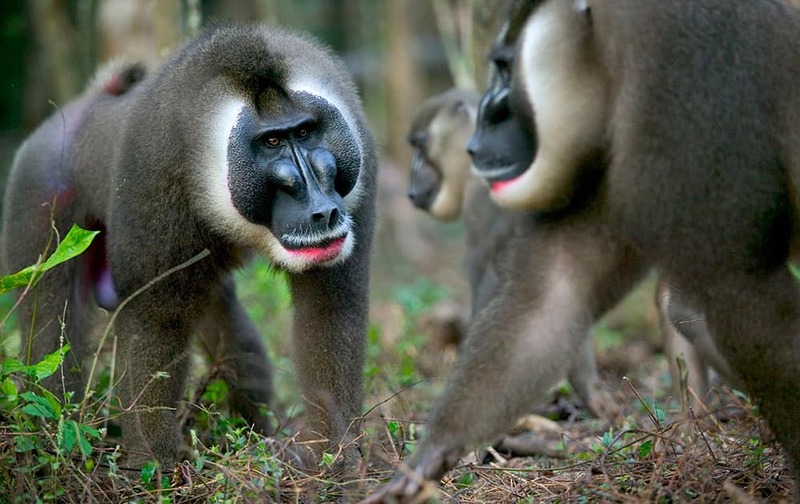 a drill (Mandrillus leucophaeus), left, challenges a dominant male, right, for leadership of a harem at a sanctuary in Calabar, Cross River State, Nigeria. 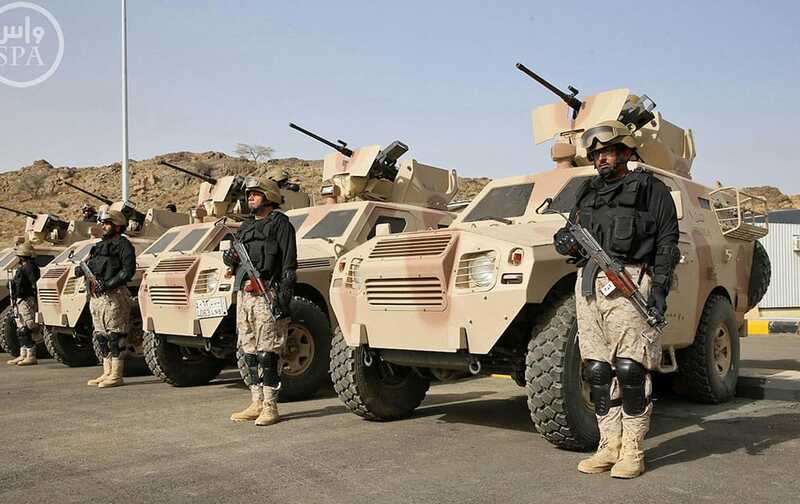 Royal Saudi Land Forces and units of Special Forces of the Pakistani army take part in a joint military exercise called "Al-Samsam 5" in Shamrakh field, north of Baha region, southwest Saudi Arabia. 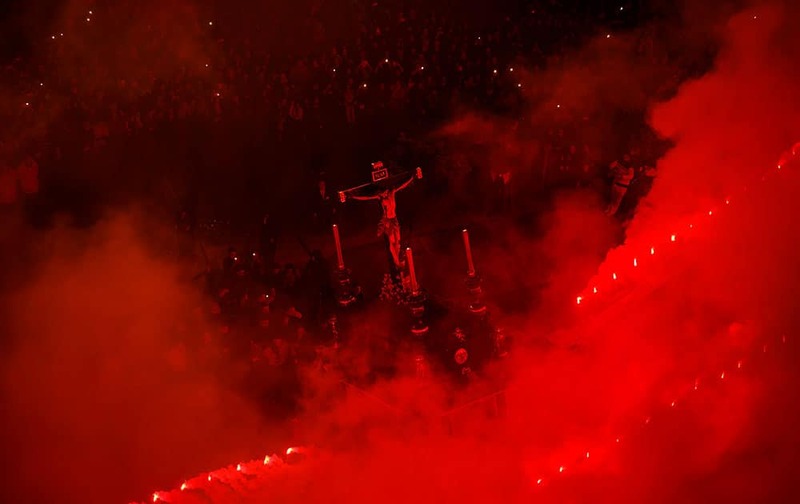 Red flares burn while penitents of the Cristo de Viga brotherhood carrying a float with a cross take part in a Holy Week procession in Jerez de la Frontera, Spain. 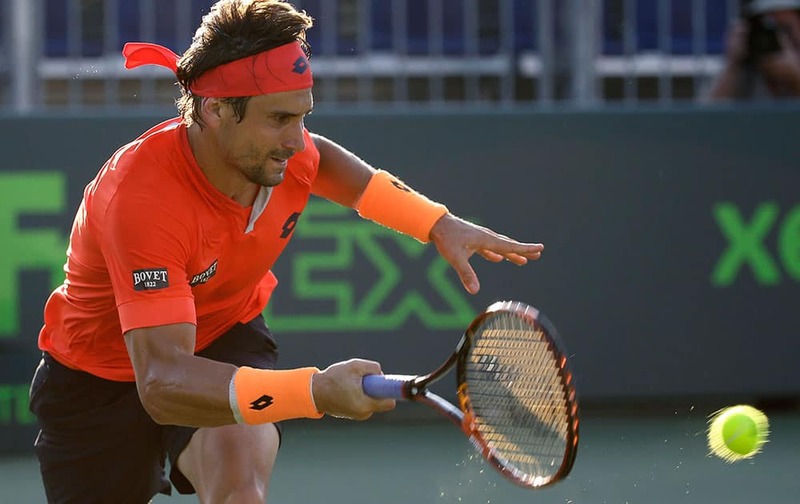 David Ferrer, of Spain, returns to Lukas Rosol at the Miami Open tennis tournament, in Key Biscayne, Fla. Ferrer won the match 6-4, 7-5. 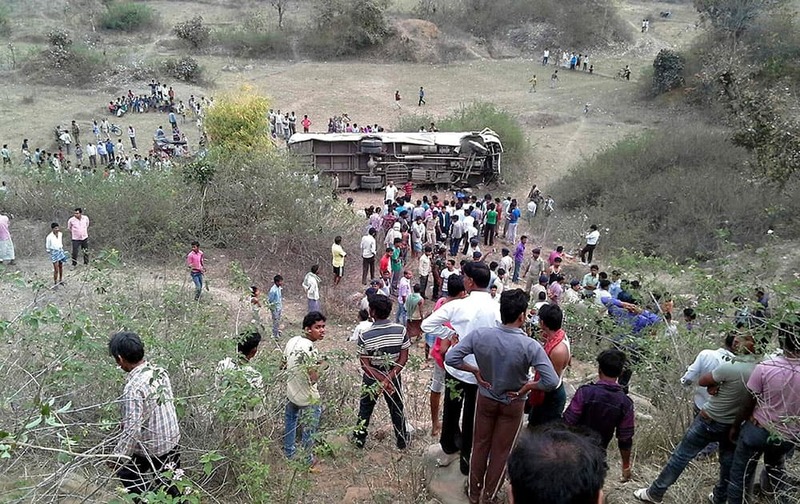 People gather near a passenger bus that overturned after it plunged into a gorge, in Garhwa district of Jharkhand state, India.